President Museveni has refuted the reported worrying health situation of Kyaddondo East legislator Robert Kyagulanyi alias Bobi Wine describing it as “fake news” (FILE PHOTO). 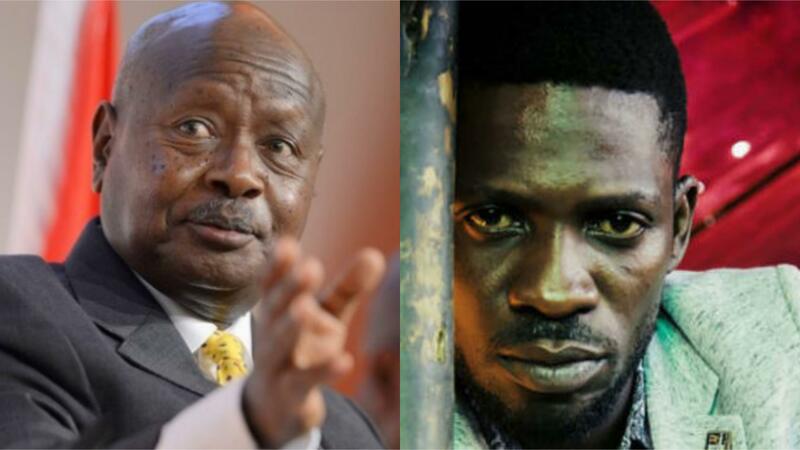 KAMPALA – President Yoweri Museveni has described as “fake news” the reported worrying health situation of Kyaddondo East legislator Robert Kyagulanyi alias Bobi Wine, dismissing calls for specialised treatment for the MP. In his latest missive released via his official social media accounts on Sunday August 19 evening, Mr. Museveni who attacked the Nation Media Group outlets – Daily Monitor and the NTV for “reporting fake news“, said he had talked to army doctors who confirmed to him that the legislator who has been in military custody since last Monday, was fine. The President also alleged that Mityana Municipality MP Francis Zaake, tortured during arrest and dumped at Lubaga hospital on Friday where he has been reported on oxygen, “had escaped from police custody” and was a wanted man! “I decided to check with Army doctors because, being a disciplined Army, UPDF doctors always take precautions in such situations. Bobi Wine had already been seen by doctors in Arua, Gulu and Kampala. He has no head or chest injuries or bone fractures, they informed me,” Mr Museveni said. The president’s version contradicts the version of the MP’s family and lawyers and that of the Uganda Human Rights Commission who all confirmed he was in need of urgent medical attention when they visited him on Friday. “Some days have gone by while what President Trump calls “fake news” generators, especially the Monitor and their TV, the NTV, have been putting it out that our grandson, the indisciplined Bobi Wine, is gravely ill, he cannot talk etc. They were putting it out that because of their “rough” handling of the MPs while arresting them, the Security forces could have done grievous damage to Bobi Wine,” he said. He also blamed the chaos in Arua and other elections in the country on Opposition leaders, whom he said ferry voters from different parts of the country to cause trouble. “The biggest problem is political leaders like Kassiano Wadri and Bobi Wine forming, or allowing indisciplined groups to be formed under the cover of elections, groups that form illegal processions in built-up and heavily populated areas, carrying stones, up-rooting side walk pavers to use as missiles, to attack defenceless women, children and other civilians,” the President said.